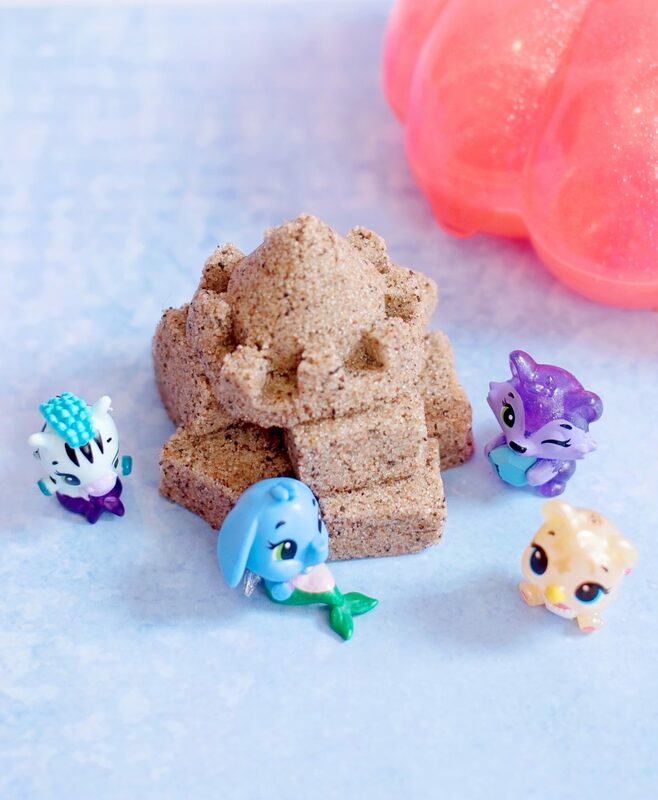 HATCHIMALS SERIES 5 MERMAL MAGIC CollEGGtibles ARE HERE! We were sent a selection of the Hatchimals Series 5 Mermal Magic CollEGGtibles for the purposes of this review. It’s time for Season FIVE of the Hatchimals CollEGGtibles and I don’t mind saying that even if the boys hadn’t been stalking the postman, I’d have been stalking him for these. They are CUTE! Hatchimals get better every series and this time, they’ve outdone themselves. There are so many kinds of Hatchimals Mermal Magic CollEGGtibles this time that I’m going to break it down for you. Then when your little ones are asking you and flashing sparkly eggs in your face, you’ll know who you’re dealing with. There are over 80 to collEGGct [sorry] so get ready. Season 5 – What’s Going On in Hatchtopia? 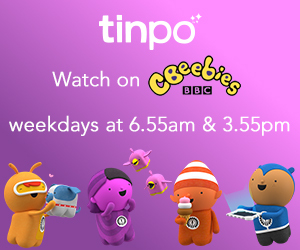 So, season 5 contains 39 different Mermals, 8 sets of Mermal Twins and 14 Underwater Friends. 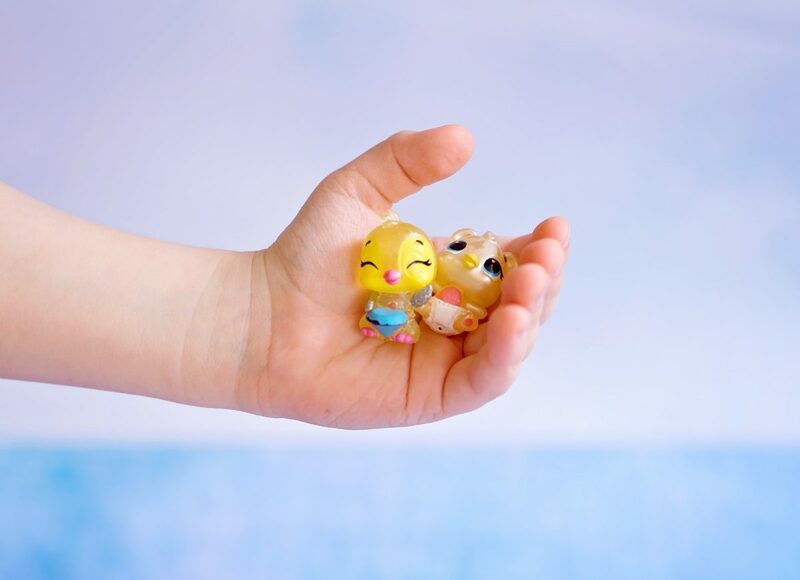 Then in addition to these, there are special edition Hatchimals with different coloured eggs – 6 different Hatchimals hailing from Sunshine Surf, Mischief Marsh, Racing River and Limited Edition eggs from Blissful Bay. 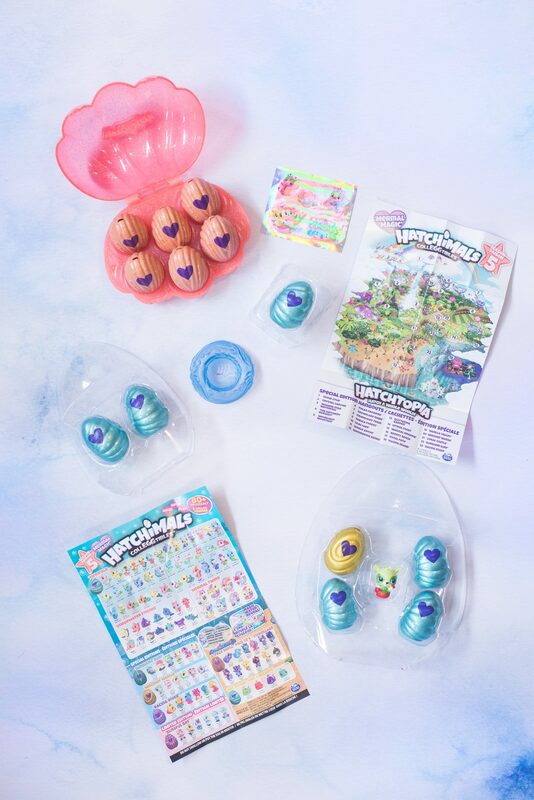 In addition to these eggs, there are also special eggs found only inside the 6 Pack Shell which comes with stickers too and is very handy for holding more Hatchimals or trinkets! There are 12 possible Hatchimals to come out of these eggs each holding a blue rock in their paws or claws, flippers or…well, animal hands. Once you put them in the water you can rub this off and you’ll find the sweetest little gem underneath! 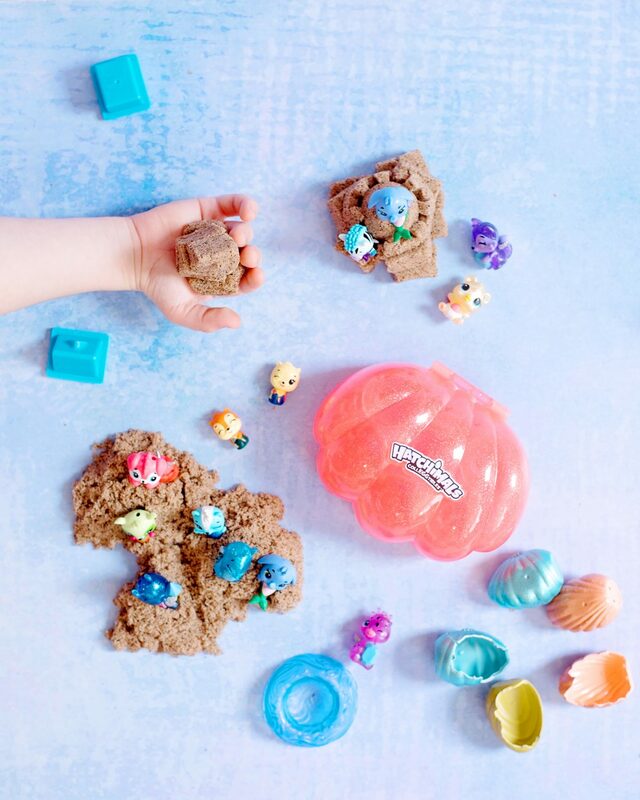 Within these different species, there are common, rare, ultra rare, limited edition, treasure trios and precious pearl Hatchimals too. 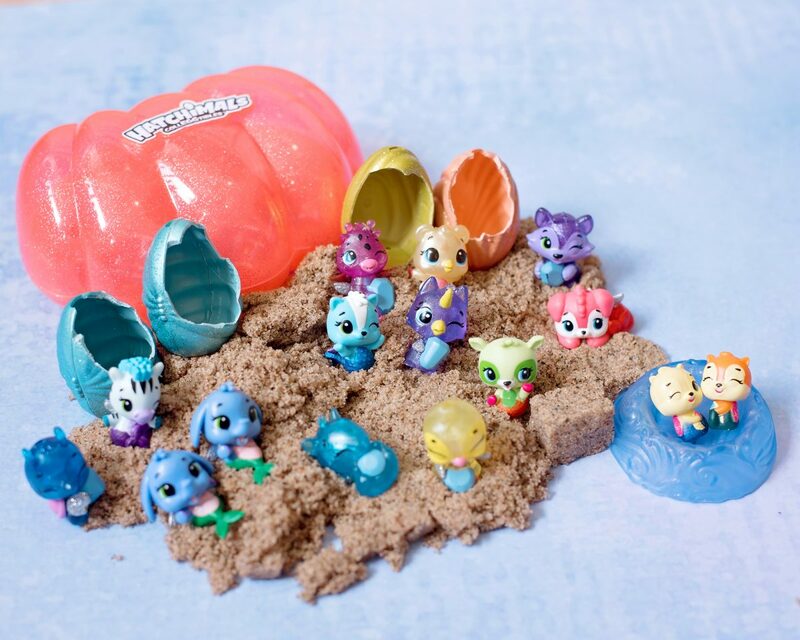 Anything else special about Series 5 Hatchimals CollEGGtibles? Well, as if being encased in sparkly mermaid eggs this time isn’t enough, when you pop your Hatchimals into water [35 degrees c] they change colour too! Don’t forget that there’s also a Hatchimals app available where you can collect and care for the little Hatchimals, play mini games and watch little Hatchimals episodes too! 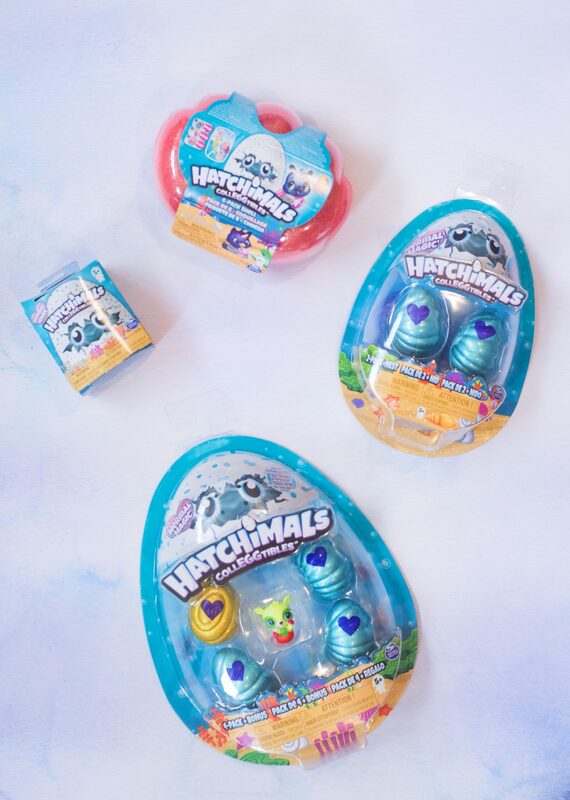 So who did we Hatch from Series 5 Hatchimals CollEGGtibles? TWINS! 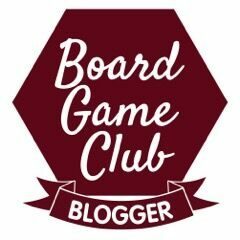 Chipadee twins [Mermals] – cue MUCH excitement from the boys! 1 HUMMINGBEAR [Golden Egg] from Mischief Marsh! 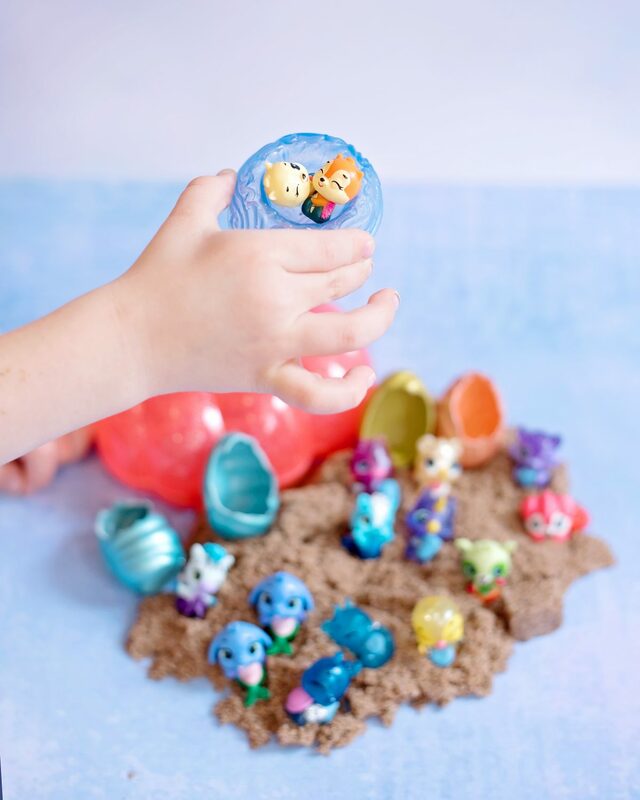 Who will you find in your Hatchimals CollEGGtibles Series 5 Mermal Magic eggs?